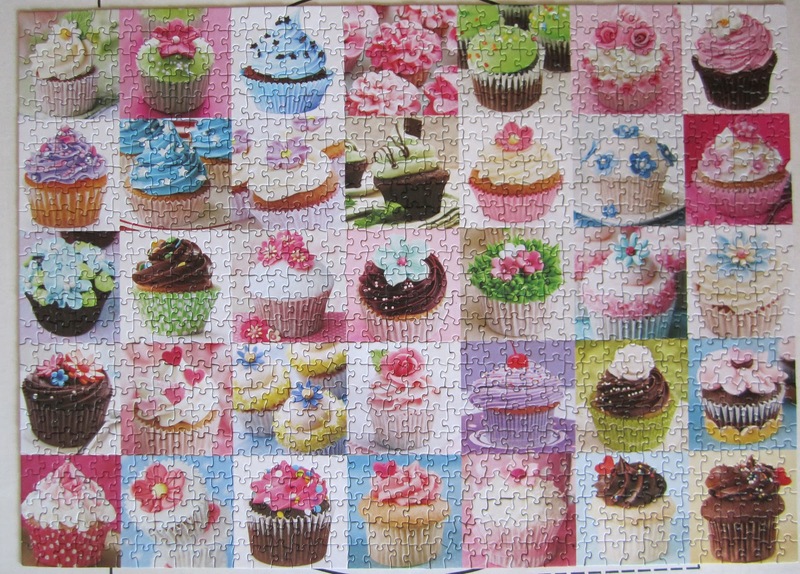 Cupcakes 'n Daisies: No Sewing but plenty of Fun . . . . While my daughter was home for Thanksgiving I didn't take a step inside my sewing room, which is very unusual for me, but honestly, looking back on it, I don't know when I could have squeezed in any time to sew, the week flew by in a blink of an eye, and it was nothing but fun. Here's one thing that occupied an entire afternoon , we made this poinsettia wreath which is now hanging on my sewing room door. My daughter picked it up in a store called Paper Source. 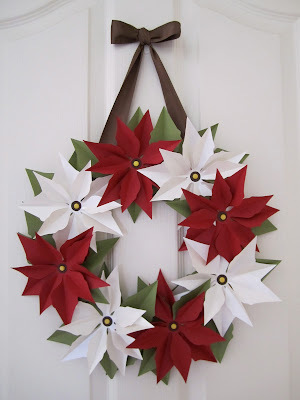 You can check out this wreath and all the other fun paper products they sell by clicking here. If you've never visited this store in person or online you are in for a treat, and a loss of a chunk of your time, and maybe money. The kit really did come with everything we needed to make that wreath. And I think ours turned out just as nicely as the one pictured on the kit cover, don't you love it when that happens! I don't make the time to work puzzles very often but love them, plus it's such an easy and fun way to pass time while chatting with my daughter. We finished this 1,000 piece puzzle in no time. If you think working a puzzle with over 35 cupcakes on it would make you crave cupcakes, you would be correct! Besides cooking, watching movies, working puzzles, and making wreaths, we played games. 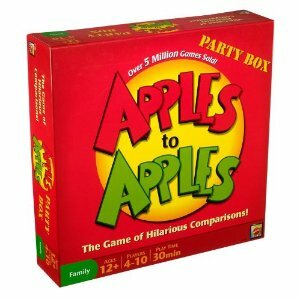 This is a game we've played for a couple of years and I highly recommend it. It's easy, fun, goes fast and my daughter and I can usually even talk the guys into playing with us. It goes even faster when you don't stop and laugh, but sometimes you just can't help yourself. So today I'll put up the Thanksgiving decorations and start thinking about getting a few Christmas ones out and then head up to my sewing room. It's nice to have a happy place to hang out when the rest of the house is feeling so quiet and empty. Sounds like my idea of a perfect holiday...puzzles, visits, crafts, laughter...wonderful! Sounds like it was a good one; much like mine. Now both daughters have left and the house is way too quiet. I'm feeling very thankful that my sewing group day is Monday! Such a pretty wreath. My daughter made a teardrop wreath for her door this weekend. So fun to see the different ways to make them. I need one for my house now. I haven't decided about decorations yet since my workload to get projects done for a trade show trumps having fun. I love yours and I know it would put me into the spirit, but maybe in another week or so. What a fun puzzle to work on with your daughter! I love games... but somehow, we never got to play any over the holiday. We did go for a couple of walks though, which was nice. Your wreath is adorable... and makes a perfect "first decoration for Christmas". My sewing room is the sunniest place in the house. I'm always happy to play in there. Turn up the music and have fun playing! What a fun week! Thanks for the fun recommendations - I never work puzzles any more! What a great idea for a fun afternoon! And the game is great! Never heard of paper source - thanks for the tip - off to check it out now! We are a game playing family too. My DD and I used to do puzzles during football Sundays, now she will often start one when she's home. Love the family traditions and how the games change over the years!